This agreement was written in English. Should any translated version conflict with the English version, the English version shall prevail over the translated one. 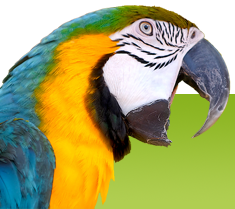 Pet-Shops.co.za reserve the right to amend the Terms of Service without prior notice. It is the responsibility of the visitor or advertising Pet Shop to ensure that they are familiar with the content at all times. This Terms of Service ("Terms" or "Agreement") is a legally binding agreement between you and Pet-Shops.co.za ("We") which governs your access and use of Pet-Shops.co.za Services (the "Service"). By using the service, you accept to be bound by these Terms and agree that you have read and understood them. These Terms supersede any previous ones. We reserve the right, at our sole discretion, to change, revise or otherwise modify these terms at any time and in any way, and you agree to be bound by such changes. You are responsible for periodically checking for updates to these Terms, and agree that your continued use of the service after a change has been made will imply your acceptance of the revised Terms. We grant you, subject to your acceptance of these Terms, a limited, non-exclusive, personal, non-transferable, revocable license to use the Service as allowed in this agreement. We reserve the right to discontinue the Service, or to modify its content, for any reason, in any way and at any time, with or without notice to you, without liability. We reserve the right to refuse access to the Service to any user without notice and for any reason, including, but not limited to, violation of these Terms. You agree to be bound to any rules specific to Pet-Shops.co.za published within the Service. You represent that you are 13 years old or older, and if you are between the ages of 13 and 18, you also represent that your legal guardian has reviewed and agrees to the Terms. All materials that are part of the service are protected by law against unauthorized use. Unless otherwise specified, such materials (including, but not limited to, text, artwork, pictures, designs, graphics, software, sound and music) are copyrighted under international copyright law. You agree not to copy, redistribute, publish, modify, frame, sell or otherwise exploit material from the Service in any way other than it is expressly permitted herein, without our prior written permission. You acknowledge that you do not acquire any ownership rights by using the Service, accessing any materials posted on the Service, downloading content from or uploading content to the Service, or by otherwise using the Service. Any suggestions, comments, ideas or other kinds of feedback from our users shall be our exclusive property, which we may use or exploit in any way, and such use will not entitle the user to receive compensation of any kind. The Service allows users to create text content they can post to Facebook("User Content"). You agree that any User Content you provide is original and the rights to it are exclusively owned by you, including the right to grant us a license to use it as described in this agreement, without liability arising from such use. You grant us the unrestricted, irrevocable, fully-paid and royalty-free license to host, copy, distribute, use, sell, publish, make derivative works of, or otherwise exploit in any way your User Content, either in whole or in part, and through any medium and/or format. We reserve the right, but have no obligation to, review, reject, accept, monitor or otherwise maintain any User Content. We have the right to remove User Content from the Service without notice, at any time, and for any reason, including, but not limited to, violation of the rights of third parties. We may edit, move, re-format or otherwise modify User Content without notice and without liability. You agree that we have no obligation to monitor or enforce any intellectual property rights associated with your User Content. We do not endorse, nor guarantee the quality or integrity of, the content, messages and/or information of any User Content or any external site linked to or from such content. You acknowledge that the Service may include content you find offensive or objectionable, and that we are not responsible for editing or monitoring such content. We will not be liable for User Content under any circumstances. You agree, as a condition of your use of the service, to comply with these usage rules or rules of conduct and any other additional rules published in the Service. Should you not have a website to provide a link back to our website you would need to sign up for the minimum subscription of R85.00 in order to advertise on pet-shops.co.za. Should you have an active account without a link back to our website you will be billed as of 1 April 2015. Pet-Shops.co.za is exclusively for ADVERTISING purposes. You will at all times be responsible for your actions. YOU USE THE SERVICE AT YOUR OWN RISK. WE ARE PROVIDING THE SERVICE "AS IS" WITHOUT ANY EXPRESS OR IMPLIED WARRANTIES INCLUDING, BUT NOT LIMITED TO, IMPLIED WARRANTIES OF MERCHANTABILITY, FITNESS FOR A PARTICULAR PURPOSE, AND NON-INFRINGEMENT. WE DO NOT GUARANTEE THAT THE SERVICE WILL BE SAFE OR SECURE. YOU FURTHER SPECIFICALLY ACKNOWLEDGE THAT WE ARE NOT LIABLE, AND YOU AGREE NOT TO SEEK TO HOLD US LIABLE, FOR THE CONDUCT OF THIRD PARTIES, INCLUDING OTHER USERS OF THE SERVICE AND OPERATORS OF EXTERNAL SITES, INCLUDING SITES ADVERTISED ON THE SERVICE, AND THAT THE RISK OF THE SERVICE AND EXTERNAL SITES AND OF INJURY FROM THE FOREGOING RESTS ENTIRELY WITH YOU. APPLICABLE LAW MAY NOT ALLOW THE LIMITATION OR EXCLUSION OF LIABILITY OR INCIDENTAL OR CONSEQUENTIAL DAMAGES, SO THE ABOVE LIMITATION OR EXCLUSION MAY NOT APPLY TO YOU. IN SUCH CASES, OUR LIABILITY WILL BE LIMITED TO THE FULLEST EXTENT PERMITTED BY APPLICABLE LAW. YOU AND US AGREE THAT ANY CAUSE OF ACTION ARISING OUT OF OR RELATED TO THE SERVICE MUST COMMENCE WITHIN ONE YEAR AFTER THE CAUSE OF ACTION ACCRUES. SUCH CAUSE OF ACTION IS OTHERWISE PERMANENTLY BARRED. You agree that any legal claim shall be limited to the dispute between you individually and us. To the full extent permitted by law, no claim shall be joined with any other, and there shall be no right or authority to utilize class action procedures. You agree to indemnify and hold us and each of our directors, contractors, partners and employees, harmless from and against any loss, liability, claim, demand, damages, costs and expenses, including reasonable attorney's fees and costs, arising out of or in connection with your use of and access to the Service, your violation of any term of these Terms of Service or your violation or alleged violation of any third party right, including but not limited to any copyright, property, or privacy right. You agree that the provisions in this paragraph will survive any termination of your account or the Service. Our failure to enforce any of these Terms will not be considered a waiver. The Service is not intended to be used in any location or jurisdiction where it goes against local laws or regulations or requires special registration. If you are located in any such jurisdiction, you must not use the Service. These Terms are effective until terminated by either party, except for sections 8, 9 and 10, which shall survive termination of this agreement. You may terminate this agreement by destroying all Service-related materials obtained from the Service. You will still be liable for the monthly subscription fee during the 2 months Termination period. You will still be liable for all outstanding amounts owed to pet-shops.co.za for services rendered (page on our website) )even after Termination period. On all invoices outstanding for more than 7 days an Interest of 20% will be added every 30 days to the entire outstanding amount plus previous interest. The section headings used in this document are for convenience only and do not have any legal value. You hereby waive any and all defenses you may have based on the electronic form of these Terms and the lack of signing by the parties.